Went with a crazy fun bunch of people to hike the stawamus chief in squamish today. PHEW. Up up and up. Did I mention that it’s UP? I wondered, as I got to the trailhead and looked UP the big boulder we had to start the hike with, “hmmmm should I be doing this while almost 5 months pregnant?” So I huffed and puffed, stopped a lot, and did ‘pulse checks’ with the gang and made it up to the beautiful top. However, down was the true feat…aching knees, shaking legs….but what a gorgeous, good day. p.s. new pregnant photos from day at approx 19 weeks. So 18 weeks and counting. Had a wonderful visit with family in Ontario, however, most family kept saying “you’re so small!” I have to say, anxiety has been abounding. This part of pregnancy is a bit nerve wrecking. 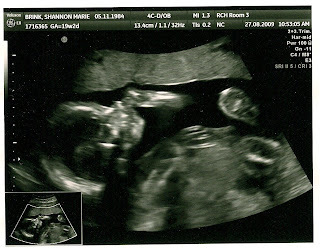 At least in first trimester the nausea was a “good sign” that things were okay. Now, having not felt the baby move yet and because I’m not showing much and have cramps now and again…I’ve been a bit of a worry wart. I was so relieved to hear the baby’s heartbeat at my midwife appointment today that I actually started crying. Sigh. I guess motherhood is going to be emotional isn’t it? I realize I haven’t posted new pictures of my belly bump. However, it’s more like a blueberry bump. (covered in bright purple bruises). I should keep track of changes in my body with pictures, but it’s surprising how that takes a back burner with moving, traveling etc etc.